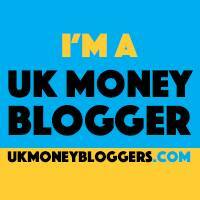 June 9, 2018 By Morgan M Woods 4 Comments This post may contain affiliate links. 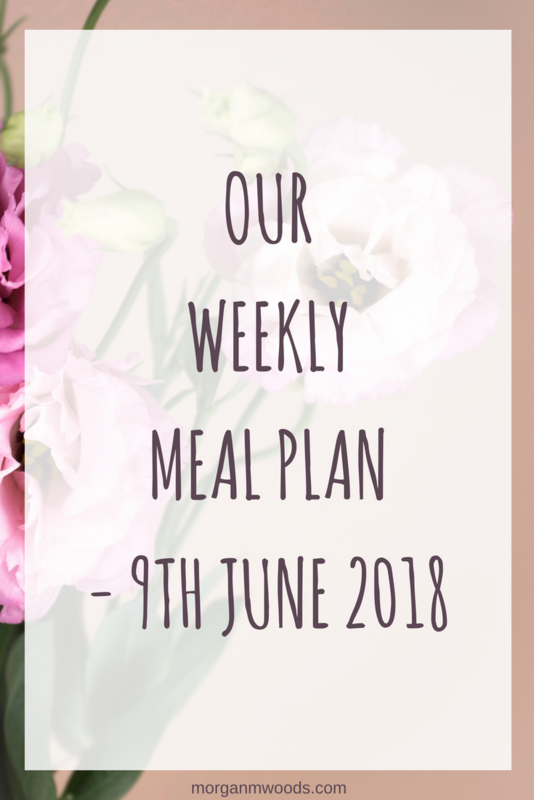 Here is our weekly meal plan – 9th June 2018. Each week I link up with The Organised Life Project and Katykicker for this weekly meal plan linky. Monday – Chicken curry using up leftover roast chicken from Sunday nights tea. 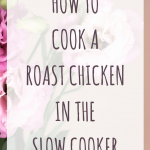 I’ll just throw it all in the slow cooker for the day and serve it up with some rice at tea time. I have some leftover vegan chilli to defrost and heat up. 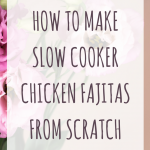 Tuesday – Chicken fajitas using leftover roast chicken and leftover fajita vegetables. The chicken we have for Sunday is really big and we like to make the most of it! So leftover chicken will make an additional 2 dinners. I have some leftover fajita veg mix in the freezer from last week so that will make a super easy meal. Wednesday – Homemade vegan Lasagne. I have some leftover vegan Bolognese in the freezer so this can be easily made into one of my favourites. I use soya milk and cornflour for the sauce along with some vegan parmesan style cheese. Thursday – Sausage and mash with broccoli. This just never gets old for us! Friday – Freezer food/leftovers. 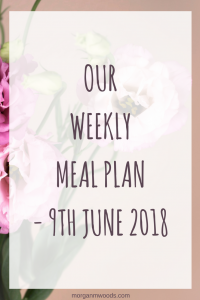 We do this each week to prevent food waste. Saturday – I’m out all weekend so my other half is home alone Saturday for tea, I think he may be planning a takeaway. Sunday – I will be home late on Saturday so I have no idea what the other half will cook for me. It’ll be a nice surprise I’m sure. I decided to Google a vegan Bolognese while reading this. Which lead to a vegan mapo tofu recipe (one of my fave dishes, but vegan?!) that uses a mushroom base. Now hungry for all. Great meal plan! You really are making good use of the chicken! 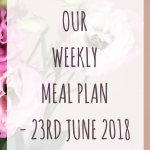 I swear I say this every week but your Thursday meal is one of my favourites. Definitely need to get it on my meal plan soon! !